A little love on a metal wall decoration ! Decorate your walls with this unique design sculpture ! 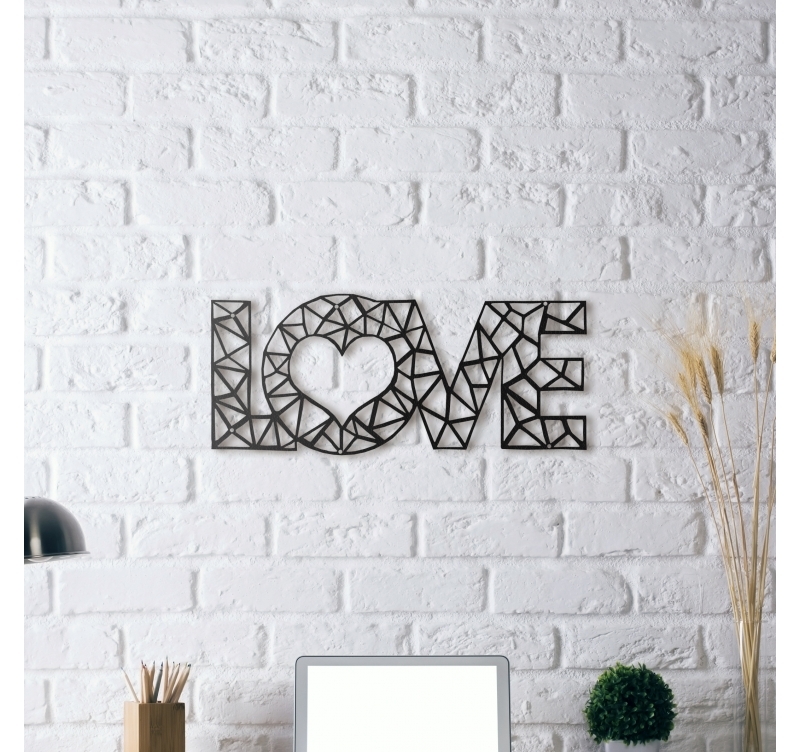 The dimensions of this love wall decoration are 50 x 20 cm. Love… one of today’s world most important feelings ! Find all its strength on an Artwall and Co metal wall decoration. 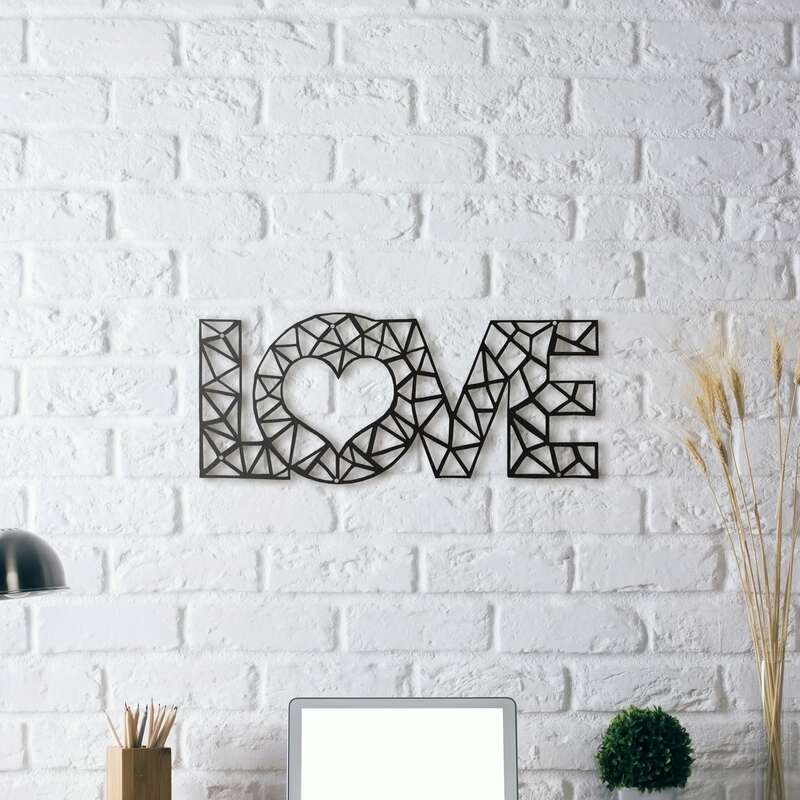 If you wish to create a positive ambiance in your interior with a touch of design, this contemporary metal wall decoration will be the perfect piece to give style to your decorative choice. We remind you that all our trendy wall decorations are metal and hand made by our creators and treated with a black finish for a long lasting quality. 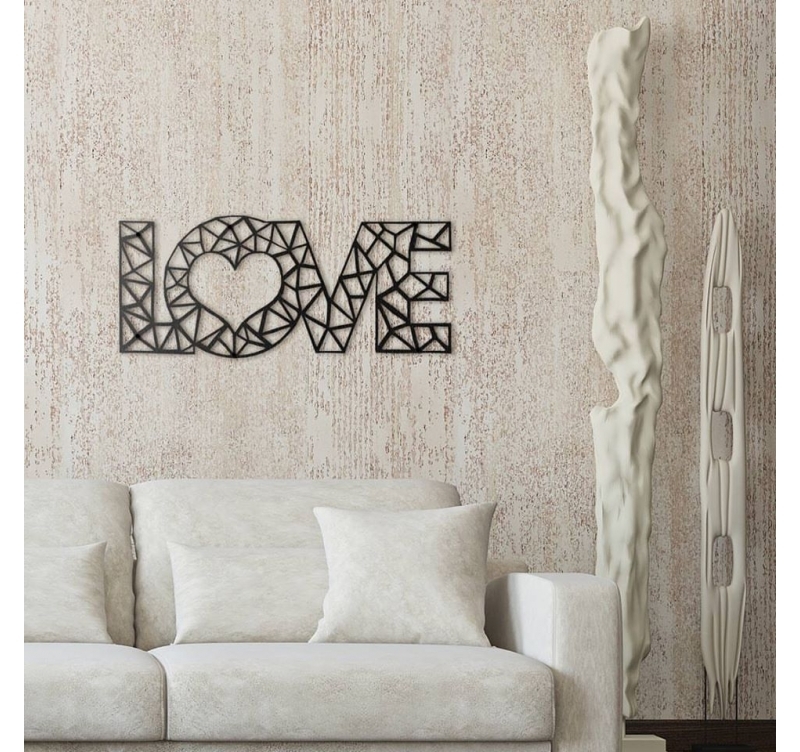 This Love metal wall decoration is wrapped in foam and in a protective cardboard box for a safer delivery.